The large majority of our clients pay for their treatment through their health insurance plan, and in many cases, this can cover 100% of the costs. Our billing coordinators will put together all the necessary insurance documents on your behalf, which will outline all the costs of rehabilitation treatment, from detox to therapies, for the benefit of your insurance company. Call Us Today For a Free Insurance Verification. 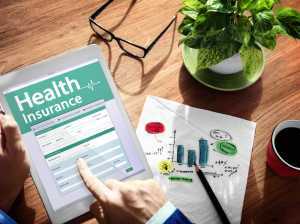 Is addiction treatment covered on your insurance plan? For many with public insurance, substance abuse addiction treatment may not be covered. You should evaluate your insurance plan and what’s included in it, and your insurance company will be able to guide you through what’s included and what isn’t. In some plans, inpatient and outpatient treatment fall under different parameters, so it’s important to check that you would be covered for the specific form of treatment that you require. If your health insurance is provided by your employer, you may have to notify them of your intentions to begin rehabilitation treatment. It’s not always included and if your addiction is severe enough you may have to inform them anyway. Some employers will allow staff time away for treatment, but some will have different requirements. In private insurance plans, rehabilitation treatment is usually included, as well as various other health benefits. Whatever your circumstances, our team of insurance advisors will be happy to inform you of all your options throughout.